According to Strabo (Geography 10.4.11), Gortyn was second only to Knossos and it controlled seaports at Matala and Lebena. 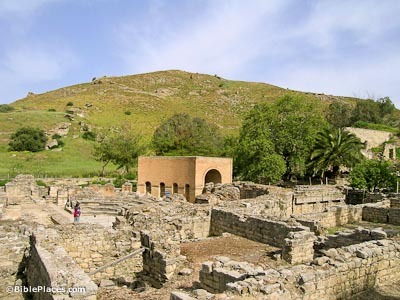 Today, Gortyn is Crete’s largest archaeological site. The great public buildings are primarily from the 2nd century AD, during the Roman period, when the city reached its greatest importance. 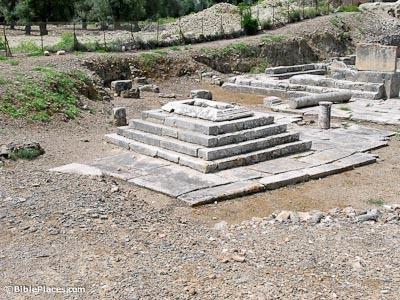 The ancient remains are scattered around in olive groves over a wide area. When Rome invaded Crete in 67 BC, Gortyn was a center for pro-Roman sentiment and it gave no resistance to Quintas Metellus. 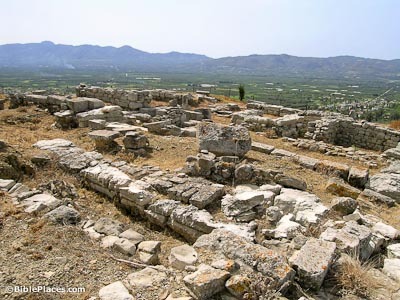 As a result, Gortyn was made the capital of the Roman province of Crete and Carthage in 64 BC, and served as the principal seat of the Roman proconsul. Under Roman rule, the city was almost 1,000 acres in size (including its large necropolises). The city is estimated to have had a population of 75,000-100,000. 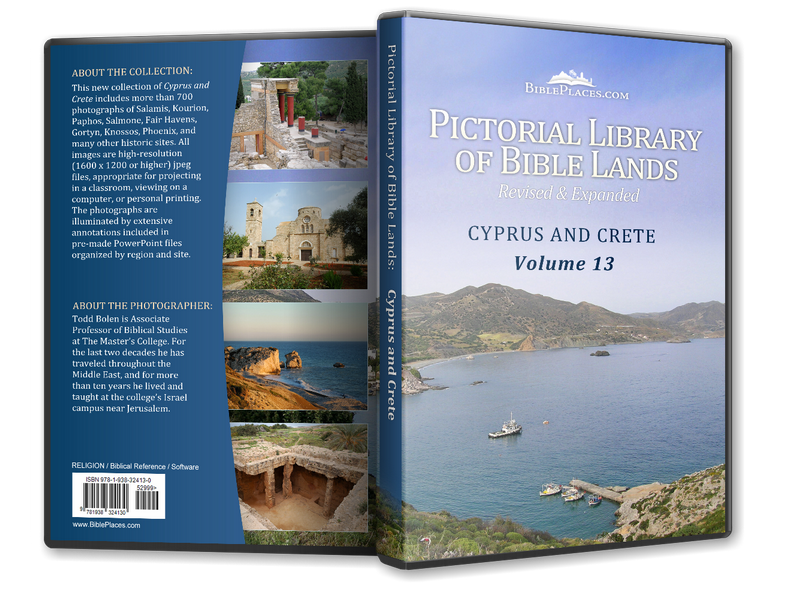 According to Eusebius, Titus was the first bishop of Crete (Church History 3.4.6, §136). 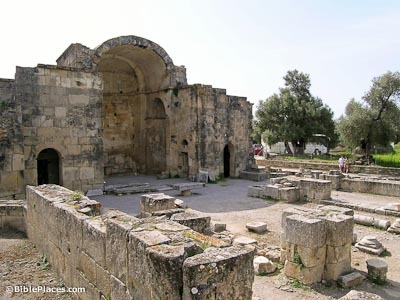 The traditional site where Titus was martyred and buried is marked by the Basilica of Titus, which was built in the 6th century AD by the emperor Justinian. Some fragments date to the 2nd century AD, indicating this was the site of an earlier building. Still visible are the cross floor-plan, the central apse and the barrel-vault construction. A letter sent by the Roman consul Lucias, and recorded in 1 Maccabees 15:15-24, implies there was a Jewish population at Gortyn. Because Jewish envoys had lavished on him a golden shield weighing 1,000 minas, Lucias wrote letters to various kings and cities, including Gortyn, instructing them not to harm the Jews or to go to war against them. 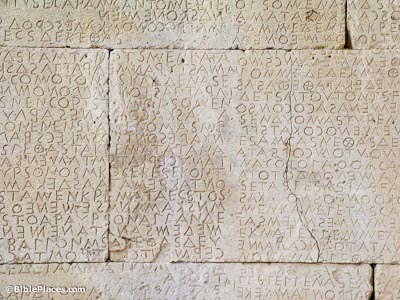 The Gortyn law code is the longest extant Greek inscription, and is known as the “Queen of Inscriptions.” It was chiseled into a circular wall that was probably part of the ekklesiasterion, or assembly building. The Gortyn Code is approximately 5 feet (1.6 m) high and 30 feet (9.4 m) long, and consists of 12 columns of text with a total of over 600 lines. It distinguishes three classes of people—citizens, serfs, and slaves—and contains legal rulings that appear to supplement earlier written laws. 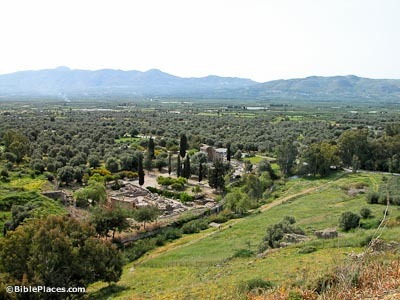 Located southeast of the Basilica of Titus, the Temple of Apollo Pythios was built in the 7th century BC on a hill called Pythion hill. It was the most important temple of Gortyn and was known throughout the Greek world. It was later converted into a church in the Byzantine period.